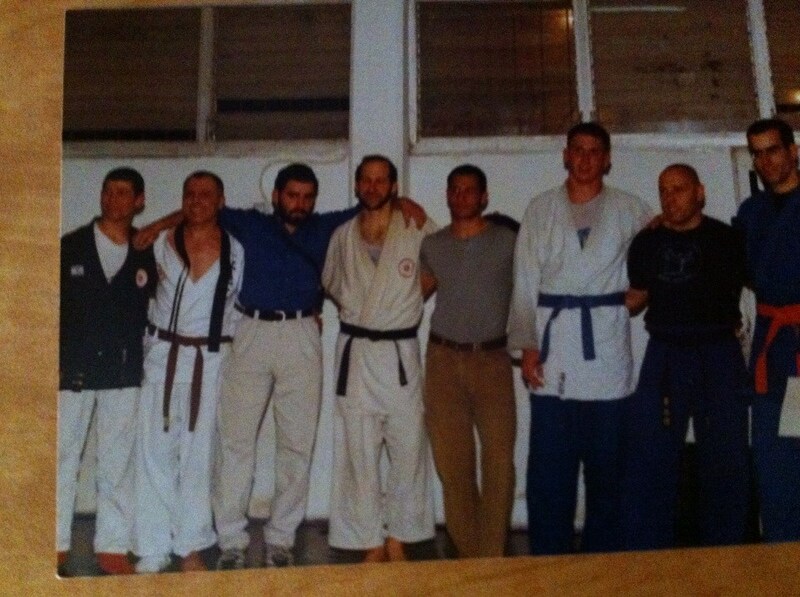 Many years ago, when I was a student at Wingate Institute, we had a guest instructor. He was an expert in Japanese karate, Gojo Ryu, and a world renown historian of martial arts. We spent three days training with him in traditional Kata and bunkai and learning about the history of martial arts. Our instructor at Wingate who was hosting this guest instructor, asked if there was anyone in the group who had a car and was willing to take our guest on a tour of Jerusalem. I was the only one to raise a hand. The other students missed out on a golden opportunity. When you spend time with a teacher you are the one who gains. You gain more than you give. Hanging out with the master instructors I felt I was picking up gems of wisdom. It was an unforgettable day and lasted longer than expected. By the time we concluded our visit of Jerusalem I realized that I did not have enough time to go home and get my karate gi, which was required for the seminar. How terrible! Here I spent the entire day with the instructor and now I face the dilemma; go home and get my gi but be late to the seminar or arrive at the seminar without the proper attire, or...not attend at all. I did not know what to do! The instructor resolved the issue and taught me a valuable lesson. "You show me great respect, you took me on this tour, you trained hard every day of the seminar. I understand there is no time to go home and get your gi, but that does not matter. Your behavior itself is all the respect I need". The lesson here is that respect is not about one particular act, it is an overall behavior. Lets take an example: say that in your gym, dojo, training hall, dojang, kwoon, whatever.. people bow as they come in and make a certain sound. But you have a guest instructor who is not familiar with this behavior and is not accustomed to doing this. Or, perhaps in your school everyone takes off their shoes but your guest comes from a school where this is not done. His behavior is certainly not an act of disrespect. Insisting on this sort of "respect" is nothing but arrogance. Politely inform him of your custom and ask him to comply. Respect is not about shoes, or bowing or wearing a particular outfit. Do not judge someone on these points. You cannot be disrespectful without intending it. A gentile walks into a synagogue on Shabbat, the Sabbath, and takes a photograph. We do not do this on the Sabbath. But we understand that no disrespect was intended. So we politely inform the person of our tradition and ask him not to take any more photographs. No one takes away his camera. No one says, You WILL show respect in my synagogue. There was no disrespect.There was only a learning process. Perhaps in some cultures walking into a certain shrine wearing a green hat is offensive, I do not know. I might be guilty of such offenses. Perhaps in some cultures sitting on the floor, or on a chair is offensive. The point is, give the guy a break, there was no intended disrespect. In our culture, for example, at the house of a mourner, only the mourners sit on low chairs while the visitors and non-mourners sit on regular chairs. For a guest to sit on a low chair is totally inappropriate. However, a guest from outside our faith might not know this. As such, no offense is taken. In the martial arts I have seen instructors get totally bent out of shape over perceived lack of respect. A visiting student wearing the wrong color uniform, the wrong style outfit, the wrong patch, doing a different warm-up or stretching exercise, perhaps even doing a different kind of bow or greeting. Over any one of these a student could be publicly reprimanded, perhaps even sent away. I have seen a black belt kicked out for wearing the "wrong" patch on his uniform, the instructor, a 10th dan, said, "Do not disrespect this place!". The student had to tear the patch off his uniform. Is this what martial arts is about. That is not respect, that is arrogance. At another tournament one of my students wore a black gi. He simply liked the color. The instructor in charge of the event, said, "Do not filthy my mats with that black gi". Wow. Let me tell you, that kid lost all respect for "masters". No quicker way to turn a kid off and let him see who is not a true master. What arrogance! I see this as the ugly side of the martial arts, the ugly side of so called respect. It is like the old saying, you can call me Mo...any version of my name, it is OK. I have heard my name pronounced countless different ways, sometimes I correct the person, sometimes not, but I never get offended. Deliberately mispronouncing a person's name is disrespectful, accidentally doing so is not. We must remind ourselves that we are not gods. before embarking on my own, or teaching seminars, or making DVDs... I always asked my teacher for his approval and permission. RESPECT, earn it, do not demand it. I had a student who was very upset with me. She was upset because a visiting student arrived quite late. My new student, in Israel for the first time, got lost and had trouble finding the place as he did not speak any Hebrew. Of course I was understanding. My other visiting student, from the Far East, was terribly offended on my behalf. Lateness was a sign of disrespect! How could I be so kind to this terribly disrespectful student. She could hardly contain her anger. There is real respect and false respect. Real respect can never be demanded. Disrespect can never be accidental. My father was a rabbi. But not everyone knew this and often people would greet him as Mr. Katz. He never reprimanded them, he never said..ah..excuse me, to you it is Rabbi Katz. He knew that no disrespect was intended. When instructors insist on such "respect" I believe it causes a disservice to all martial arts. True respect will be earned in time, it cannot be demanded. If someone has come to train with you; that is already the greatest respect. Do not get all upset because he put his shoes in the wrong place, or he sat on your special chair or took your favorite coffee mug (yes, this has happened to me! ), these are minor "infractions" and unintentional. You are not the queen of England. If you are looking for signs of disrespect you will always find them, but most often it is entirely in your own imagination. Respect is accepting your teacher as a teacher, understanding that he has something of importance to teach you, understanding that there is value in what he is sharing with you. Your understanding of this and your appreciation is all the respect he needs. Respect for a teacher is deeply entrenched in our culture. Respect for a teacher is compared to respect for a parent. But the respect is not a matter of a title, a bow, or anything along those lines. It is how you relate to the person, how you treat them, how you view them. If you view the person in the correct manner, then any accidental show of disrespect, is just that, accidental. It is important to remind ourselves of how small we really are.